Thank you Village Harvest for sponsoring this post. Every day Village Harvest is planting seeds of change and growing possibilities, one bag of goodness at a time. 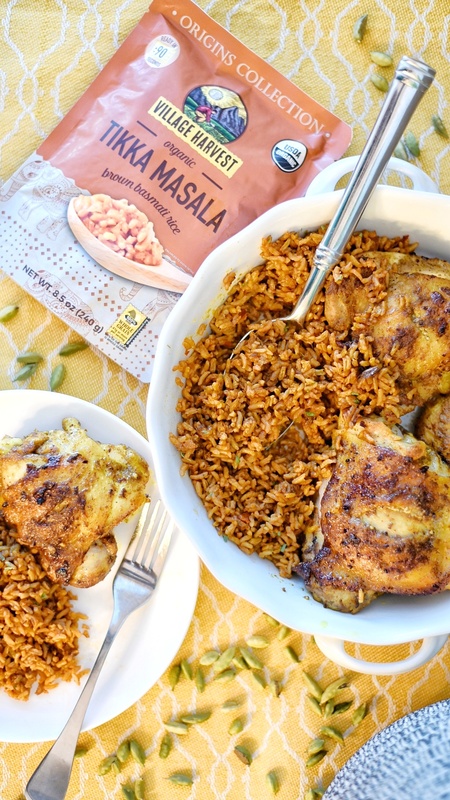 Note: You can click on the shoppable tag in the image below to purchase the Village Harvest Origins Collection Tikka Masala brown basmati rice. 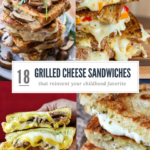 As I take a stroll down memory lane I tend to think about the great seasoned dishes I grew up loving as a child. Being from Louisiana, Cajun spices and flavors were a part of my palate for many years. However, as I’ve grown older, I’ve started to appreciate the various cooking styles and techniques from other cultures. In particular, I sincerely have a soft spot for Indian flavors and spices. The spices the Indian culture has brought to the culinary world have enticed me to be more open to trying new recipes. The great flavors you get from spices like garam masala, cumin, cardamom, coriander, and tumeric will urge you to find even more ways to cook with them! And that’s why I was excited to try the ready-to-serve recipes from the Village Harvest Origins Collections. 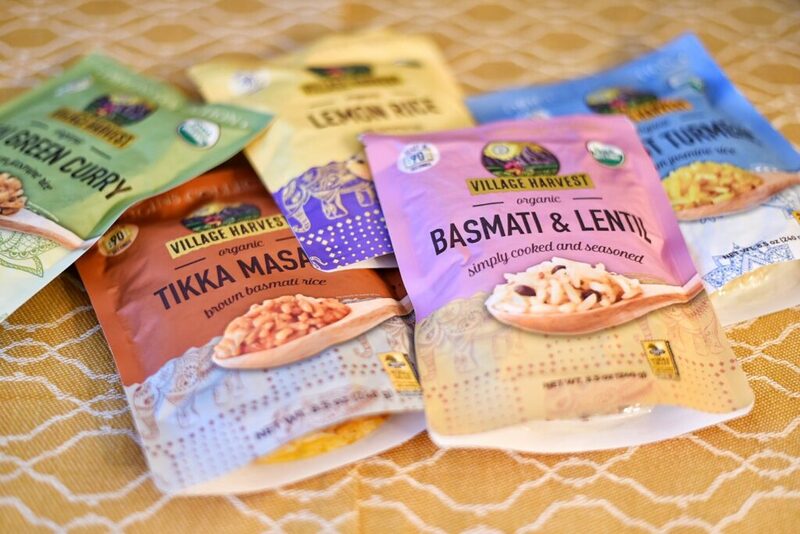 The Village Harvest Origins Collection features authentic recipes from India and Thailand created by home cooks (just like myself). 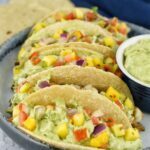 The recipes are organic, non-GMO, gluten free, and made with 100% Whole Grain. 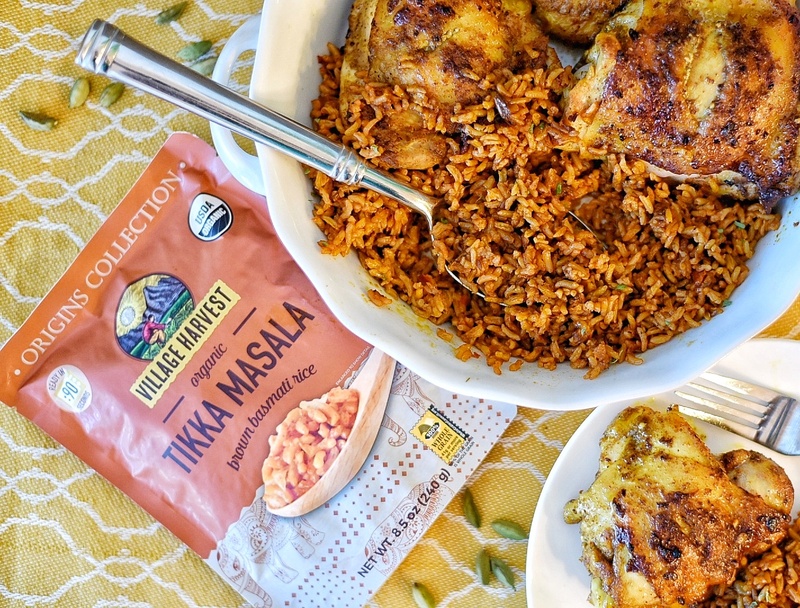 I chose the Village Harvest Origins Collections Tikka Masala Brown Basmati Rice to try first as it would pair perfectly with the pan-fried chicken I wanted to make. Tikka Masala spices are complex, and rich, but are followed by a nice sweet note which play well with pretty much anything. 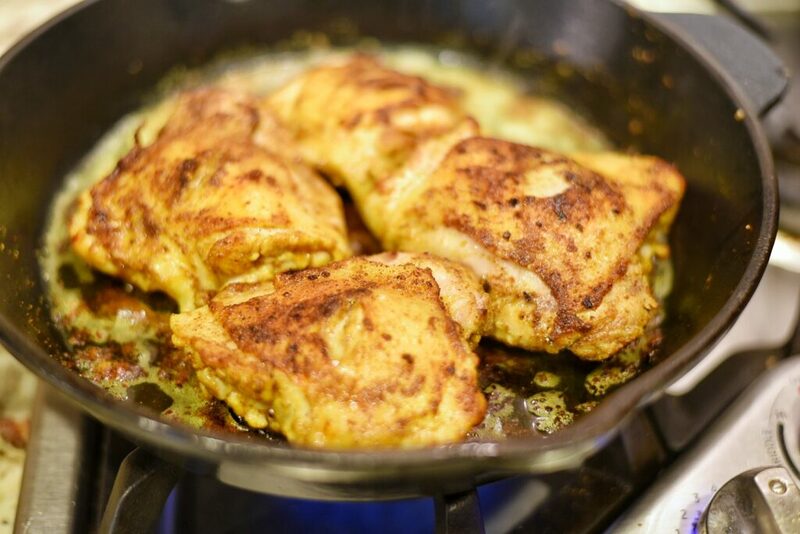 My Indian-spiced chicken was an easy way to introduce the robust flavors of Indian seasonings to my family. I seasoned the chicken thighs with ground tumeric, garam masala, coriander, white pepper, cayenne pepper, and paprika. This preparation strikes the balance between sweet and spicy. A complete meal full of flavor. 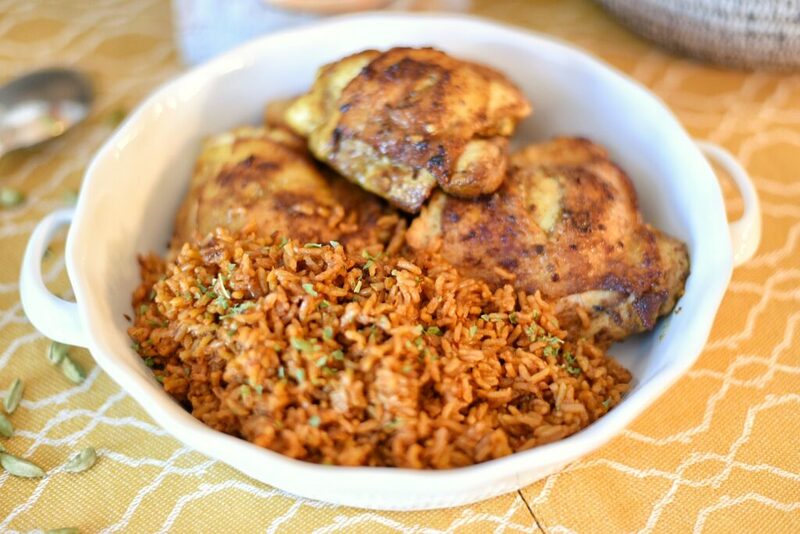 This is such a quick and easy meal, it was ready soon after my chicken was done. In 90 seconds (using my microwave), I was able to create a complete meal that was simple and delicious. I call that convenience without compromise. 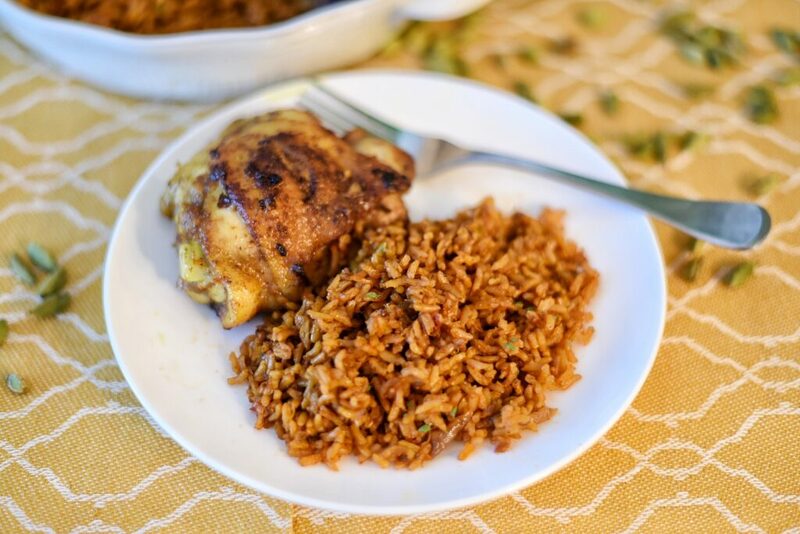 I love that the rice recipes in this collection are curated by chefs at origin and use fresh, hand chopped ingredients to ensure an authentic taste so the flavors shine through. Along with the Tikka Masala brown basmati rice from India, there are several other Origins Collection varieties including Basmati & Lentil (India), Lemon Rice (India), Coconut Turmeric (Thailand), and Thai Green Curry (Thailand). My Indian-spice chicken paired with the Tikka Masala was a hit! My family enjoyed this rice so much, I quickly popped another package in the microwave so everyone could have a little more. Yes, it was that good! The rice was very tender and tasted as if I had prepared it from scratch. 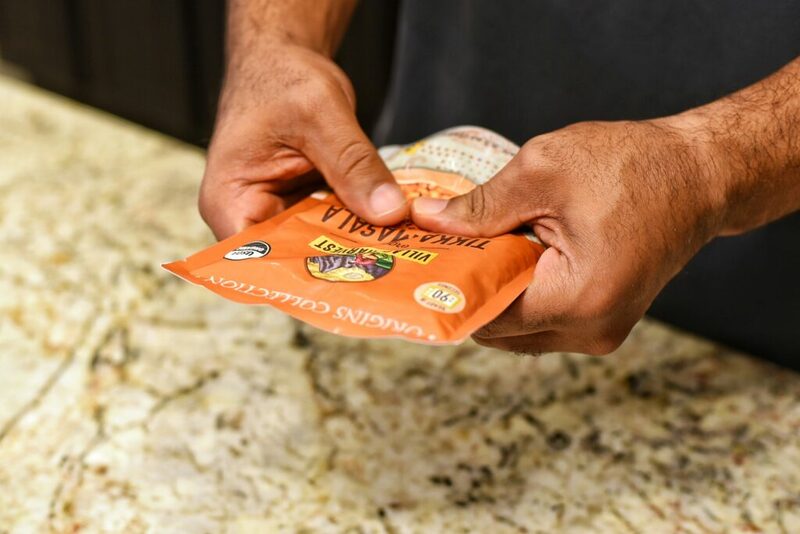 Try something new and discover the delicious side of dinner with Village Harvest Origins. You can bring any meal life in just 90 seconds. If you want to try the Origins Collections recipes for yourself, head here.